In a classic nightmarish day of press, The Dead Daisies' flight was delayed, and they arrive marginally on time for their interview with Headliner, only to find another journalist stood in their Paris hotel, apparently expecting an interview. When I do get to speak to lead guitarist, Doug Aldrich, he could not be more polite and apologetic. The Dead Daisies have just completed a substantial UK tour, all over England, Scotland and Wales, and they’re now destined for Europe. To those who don’t know them, The Dead Daisies are something of a rock and roll hall of fame band, featuring John Corabi, who has fronted both Mötley Crüe and the Scream; Marco Mendoza, who has slapped the bass in Thin Lizzy and Whitesnake; and Brian Tinchy, who has drummed for Ozzie Osbourne and Foreigner. Doug Aldrich, who I’m speaking to today, has also played in Whitesnake and Dio, and is said to be one of the greatest lead guitarists in the business. But perhaps the band’s most intriguing facet is founder and rhythm guitarist, David Lowy – he hails from a very wealthy family in Australia who own the Westfield Corporation, and is the CEO of the family’s private investment group. That may not sound particularly rock and roll, but he has used his money to go from the business world to touring the world with a stellar line up of rock musicians. The Dead Daisies may sound a little like they've been pieced together, but Aldrich tells me that isn’t the case at all. Easy as that, eh? I try to gauge from Aldrich whether the band’s founder had always been most passionate about this rock music, but got sucked into the business world by his family, or if he’s just living a dream life of being somehow big in both worlds. "We got together in January 2016, wrote a record, recorded it, and we’ve been touring ever since." Aldrich tells me that despite this unorthodox origin story, The Dead Daisies feel more like a band than in his experiences with Whitesnake and Dio, because all of the guys write and record everything together, which has gelled into a great camaraderie. This was as true as ever in the case of their latest single, A Song And A Prayer. The video is indeed worth a watch; it contains a storyline that holds its own, with only the odd subtle reference to the band themselves, visually. If you speak to Aldrich about his gear, you’ll quickly find out he is a vocal advocate of Lectrosonics, the company which provide his wireless transmitter equipment, that enables him to strut around the stage without the fear of tripping over multiple guitar cables. “I’ve always been a cable guy for guitar,” Aldrich admits. “There’s never been anything in the wireless world that competes with cable, and I’d been convinced of that for a long time. Then, when I joined Dio, they wanted me on wireless because we were gonna be on big stages, and it would have really pissed them off if I’d tripped over a guitar cable. I bought a wireless unit, and I had problems from the get go. It was nice to be free from the lead, but it never sounded the same. 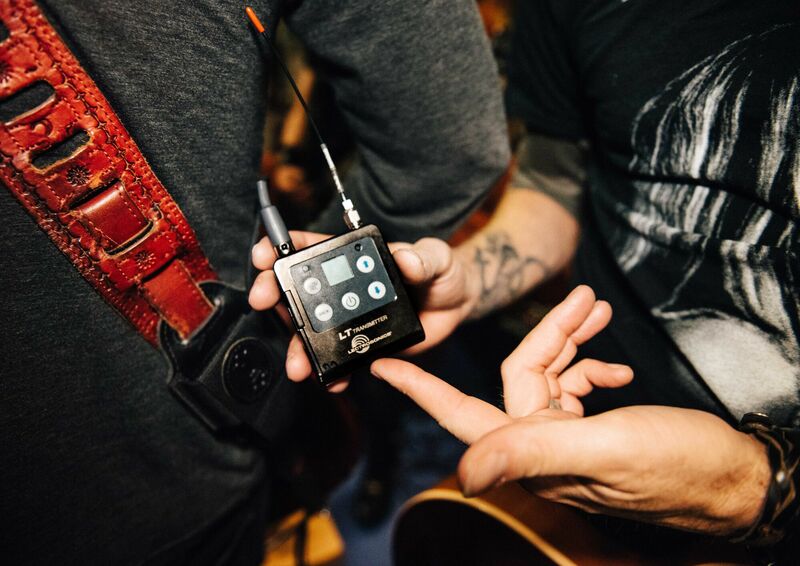 "You can run 50 feet across a huge stage without any loss of tone with these things." However, after hooking up with The Dead Daisies some years later, it soon became apparent he’d have to begrudgingly try wireless again. But he’d tried quite a few different brands without success. Most astonishingly of all, when Aldrich switched back to his cable, he couldn’t tell the difference. In fact, he thinks the Lectrosonics LT may have actually sounded better than the cable. Is that even possible? 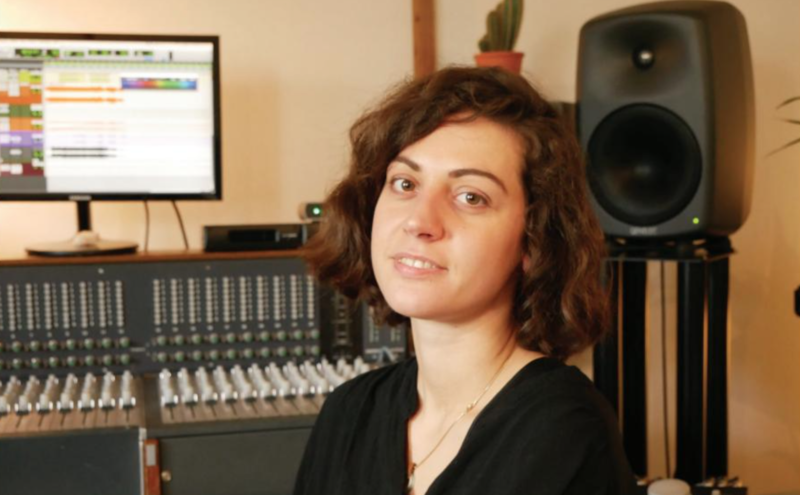 Aldrich understandably explains how a lack of confidence in your equipment can really mess with your performance, but he’s now so confident in Lectrosonics that he referred his band mate Marco to buy one of their transmitters when he ran into problems. David Lowy soon got involved, and bought one too. So it's a complete Lectrosonics stage, then? “You can run 50 feet across a huge stage without any loss of tone with these things,” Aldrich says, glowingly. We'll take that as a yes, then! The Dead Daisies will be playing at Download festival next year, and have already supported the likes of Kiss on big arena tours. But Aldrich and the rest of the guys feel that they could break into the top three bands on the festival bill if they keep doing what they’re doing. New single, Song And A Prayer, really is superb; and the Guns N’ Roses comparison is a fair one. 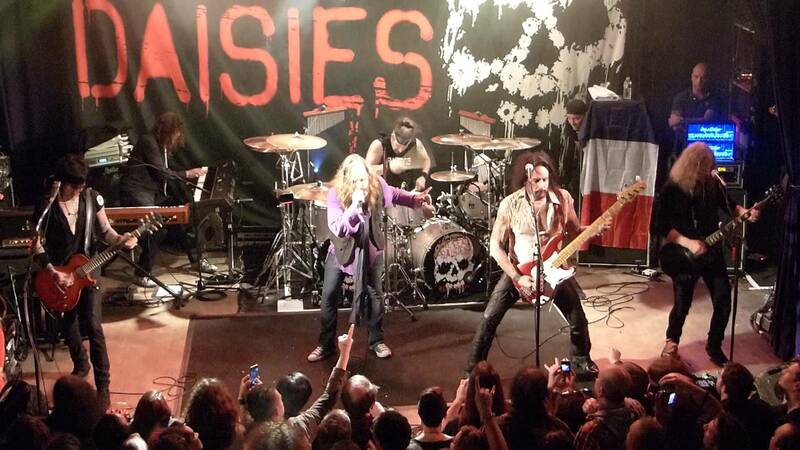 Watch out for The Dead Daisies making some noise near you soon.